Some people use it all up in a hurry, performing in a way that longevity can’t get next to. A 23-year-old London soul singer who cancels a North American tour due to vocal chord hemorrhaging. A quick-cutting running back from Kansas who’s a rookie sensation in 1965 and severely ligament-damaged in 1968. The singer pushes her voice to extreme ranges. The running back cuts back like a surfer, in a sea of tough guys..
Gale Sayers was the first truly great athlete I’d ever seen on TV. Even though I was just 10 years old during his rookie season with the Chicago Bears, I knew there’d never been another running back like him by the way fans were reacting. He had a six touchdown game against the 49ers his rookie season, a ballet in the muck. Forty-six years later I still haven’t seen an artist of the gridiron quite like him. He was the football counterpart to Charlie Parker: where’s all that feeling coming from? 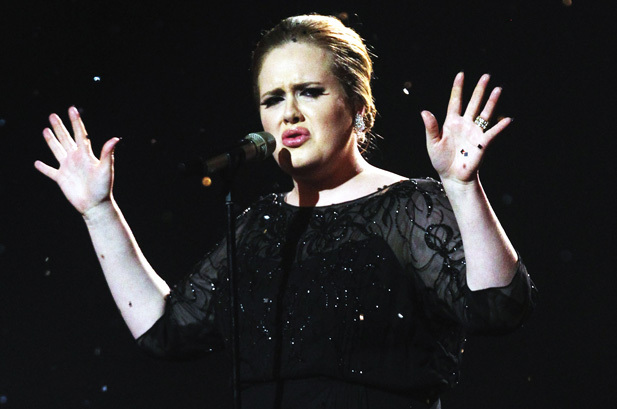 The most amazing musical performance I’ve seen this year was Adele at the MTV Video Music Awards. She did “Someone Like You,” her version of “I Always Will Love You,” and the amount of control this young woman had over the moment was stunning. Adele’s performance was nuanced, subdued, until the end when the singer hit the notes that brought the crowd to its feet. I have that version on iTunes and I play it every day, usually in the morning. It’s sad to think that Adele may not get the career her talent deserves, just as Gale Sayers didn’t. They have sung and run themselves raw and so many lives have been enriched. If Adele has only so much juice, she should save it for the studio. Great records live forever, but a football game/ concert are over when they’re over. 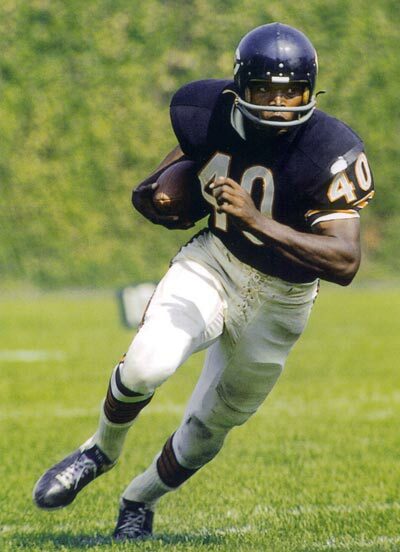 Now, somebody make a Gale Sayers documentary. This entry was posted on November 12, 2011 at 3:56 am	and is filed under Uncategorized. You can follow any responses to this entry through the RSS 2.0 feed. You can leave a response, or trackback from your own site. Totally agreed! Adele is the real deal. She makes Amy Winehouse feel like a trashy cousin (and I love Winehouse’s songs and skills). Adele gives it up…she gives it all up. I was sold after watching her iTunes Fest concert that streamed for free. Adele was so personable between songs too. She made you feel like a friend, like she was just a humble girl that you could hang with…go get a beer at the pub with. The strength of her voice and her inner beauty combine into charisma that is unparalleled. She’s not the traditional girl next door storybooks, but she is the the girl next door in real life. I love the fact that she is getting the last laugh with all the people that ever messed with her about her singing all the time and/or her weight. She may not fit into the American/Western European beauty myth…but I think she is gorgeous!